Tropical Cyclone Mona brought minimal or no damage in terms of housing, farming and roads throughout the country. This has been confirmed by the Director of the National Disaster Management Office Anare Leweniqila who says from the reports that they have received, they have decided that there is no need to conduct an Initial Damage Assessment. Leweniqila says these were the reports from Divisional Commissioners. 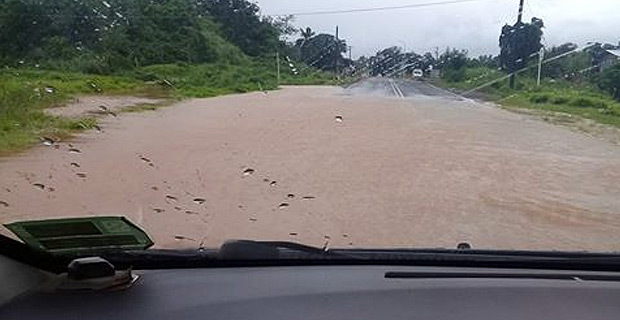 He says they have received a few damage reports from the Fiji Roads Authority like damages to culverts because of heavy rain. The NDMO Director says they did not receive any other adverse damages from the Lau group. The National Disaster Management Office is now focusing on relief and recovery operations. 594 people are currently sheltering in 16 Evacuation Centres. There are six evacuation centres in the Central Division, seven in the Northern Division and four in Eastern Division. All evacuation centers in the Western Division have been closed.